Dr. Green was raised in Los Angeles, graduating from UCLA with a BS in biochemistry in 1981. He attended UC San Diego School of Medicine receiving his MD in 1985, after which he completed an internship and residency in Family Medicine at Northridge Hospital, CA in 1988. He then moved back to San Diego and joined Sharp Rees-Stealy Medical Group (SRSMG). At SRSMG he was a full time family physician from 1988 until July 2014. In addition to a full practice, he chaired the SRSMG Family Medicine Department from 1992 until 2013 and chaired the Council of Department Chairs from 2002 until 2013. Dr. Green has been on the Board of Directors from March 2013 until present. In August 2014, he was appointed Medical Director-Elect for SRSMG and practiced as a float physician in Family Medicine one day a week. On January 1, 2015 he began his new role as Medical Director/Chief Medical Officer of SRSMG and continues to practice as a float physician one day each week. In addition to his activities with SRSMG, Dr. Green has been active in education, precepting medical students and residents at UC San Diego since 1989 and the Sharp HealthCare residency program 1995 to 2001. Dr. Green was appointed a voluntary clinical professor in the Department of Family and Preventive Medicine in 2012. He has chaired the Sharp HealthCare Aloha Primary Care Conference from 2012 until 2014. 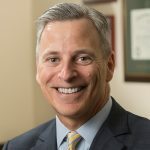 He has been active in leadership in Family Medicine, serving on the Board of the San Diego Academy of Family Physicians since 1993 and was President in 2000. Dr. Green served on the Board of the California Academy of Family Physicians (CAFP) from 2003 until 2014 and was President in 2012 to 2013. 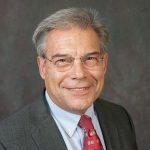 In addition, he has been on the Board of the CAFP Political Action Committee since 2007 and on the CAFP Legislative Affairs Committee since 2005. He served as a delegate and alternate delegate to the CMA House of Delegates in 2005 and from 2007 through 2011. Dr. Green served on the Board of the San Diego County Medical Society from 2008 to 2012. Dr. Green is married to Susan Green, and has three teenage children, ages 15, 18 and 20. He enjoys open water marathon swimming, having crossed the English Channel in 2012 and the Catalina Channel, Maul Channel, Lake Tahoe and circumnavigated Manhattan Island. He competed in numerous regattas including Masters Nationals, the San Diego Crew Classic and in the Head of the Charles Regatta in Boston in October 2014.